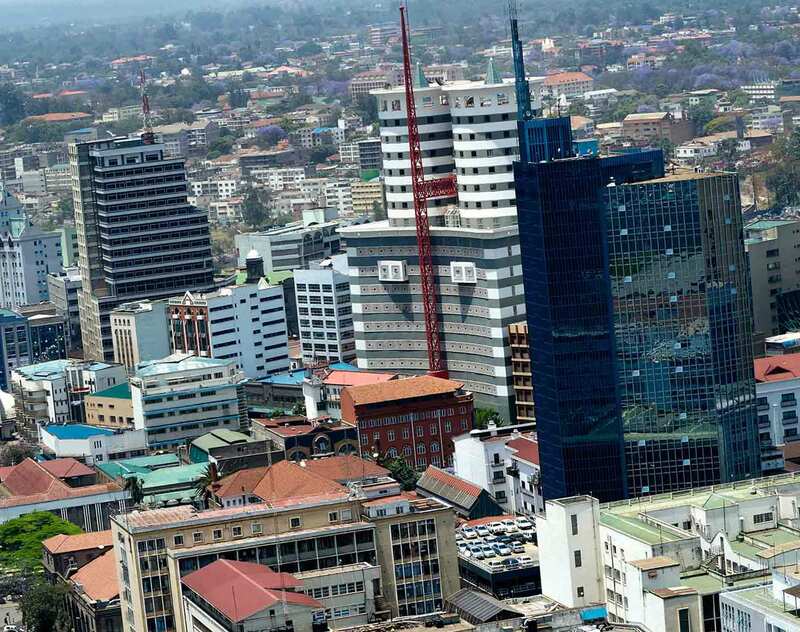 Ranked as the second most attractive destination for foreign direct investment and acknowledged for the ease of doing business, Kenya is the anchor economy of East Africa attracting global investment from regions including China, Europe, India, Japan and the US. Most global organisations and multi-nationals headquarter their East African operations in Nairobi. Having a presence that dates back to 1902 means that Dentons Hamilton Harrison & Matthews delivers the unique combination of local knowledge and strength of relationships backed by the heft of being part of the world's largest law firm. Our legacy of being the oldest and one of the most prestigious law firms in Kenya gives us the unique quality of understanding the market to provide bespoke legal solution to our clients. Look to our team of 60+ lawyers for integrated advice on legal services required. We look forward to supporting your business needs in Kenya. Our team of lawyers has significant experience in handling complex matters, providing quality insight and guidance needed. We have advised on novel transactions in the areas of Banking and Finance, Capital Markets, Energy, Infrastructure and PPPs, Intellectual Property and Real Estate. Our Dispute Resolution team has acted successfully in a number of landmark cases in a variety of practice areas. This demonstrates the dynamic and specialised service that we offer and the trust we have cultivated from the market over our 100+ year history. We continue to be considered the go-to firm for significant and complex matters by the market and are consistently highly ranked by international legal directories. Chambers & Partners – the Firm has achieved tier 1 rankings for six consecutive years in Litigation and Dispute Resolution, and in Employment for two consecutive years. It is also highly ranked in Banking & Finance, Corporate & Commercial, and Projects & Energy. Legal 500 – the Firm has achieved tier 1 rankings in Employment, Litigation and Projects & Energy and is also highly ranked in the Banking Finance & Capital Markets, Commercial, Corporate & M&A, and Real Estate & Construction practice areas. World Trademark Review – the Firm's Trademark practice has been recognised as including leading trademark professionals for three consecutive years. International Financial Law Review 1000 (IFLR 1000) – the Firm has been consistently recognised as a recommended firm in Kenya for its Corporate, Commercial and Banking & Finance expertise. The draft Financial Markets Conduct Bill, 2018 (the “Bill”) aims to create an effective financial consumer protection environment through the supervision of conduct of providers in relation to retail financial customers. Welcome to 2018/2019 Budget tax higlights review. Dentons, the world's largest law firm, has launched its previously announced combination with Hamilton, Harrison & Mathews (HH&M), one of the largest firms in Kenya. Dentons announces it is combining with Kenya firm Hamilton, Harrison & Mathews (HH&M), a firm with a tradition of excellence dating back to 1902 and one of the largest firms in Kenya.